the historic Mission Ranch, one of the most spectacular spots on the Monterey Peninsula. The exquisite views are unrivaled: meadows stretch to the south, joining the wetlands and the Carmel River Beach. Point Lobos can be seen in the distance across the bay. ... The ranch has had some 17 owners. It operated as a private club, then as officers’ club for the Army and Navy during World War II. At that time the windows were occasionally blackened against a possible Japanese landing. It was owned in those days by the Dienelt family, who had the ranch for 39 years. It had a rollicking reputation, with dance bands and a lively bar scene. ... Clint Eastwood bought the Ranch in 1986, rescuing the property from an impending fate as a condominium development. He sought out the best craftsmen for renovation, who have replicated moldings, doorframes, and hardware to match the style of the original buildings. 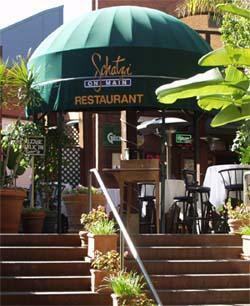 Schatzi on Main is one of the reasons, why tourists come to Santa Monica. Our gorgeus outdoor patio, gazebo and bar (cigar friendly) are heated and very special for our guests. Every first Monday of each month you can experience our World Famous "Cigar Night". Whenever Govenour Arnold Schwarzenegger is in town, he attends the Cigar Night party, and celebrities visit this event also, giving you a chance to take a peek into, and experience first hand, the "Hollywood" world. 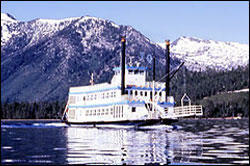 Take a cruise on the Tahoe Queen, Lake Tahoe. Have a drink at Yamashiro's watching the blinking light at the top of the Capitol Records Building spell out "Hollywood" in Morse Code. 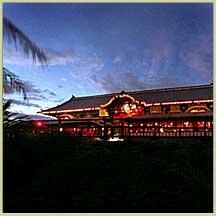 In the late 1920’s Yamashiro served as headquarters for the ultra-exclusive “400 Club”. Created for the elite of Hollywood’s motion picture industry during its Golden Age, Yamashiro gave Hollywood its first celebrity hangout. Here Bebe Daniels, Frank Elliott, Lilian Gish, Ramon Navarro, and the Who’s Who of actors, writers, directors and celebrities in Hollywood formed their first social institution as a monument to their achievement. The restaurant now includes the westside Sunset Room, in addition to the air conditioned main dining room terraces, bar lounge and Skyview banquet room overlooking downtown L.A., Hollywood, Beverly Hills, past Century City’s distinctive skyline to the beaches beyond. The Inner Courtyard, popular for dining, banquets, and weddings, has been renovated, and the Japanese gardens and pools with colorful Koi fish have been returned to their former tranquil beauty. 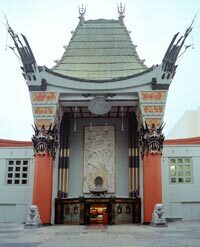 Today tour groups constantly visit the grounds to take in the unique view of Hollywood. "Number 1 Destination Spa" —Zagat Survey 2005 Top U.S. Hotels, Resorts, & Spas "'No one does spirituality like the Golden Door,' ...this premier destination spa's beautiful hiking trails, 'luxurious sensing-every-need' service, and Michel Stroot's spa cuisine" are cited as some of the reasons for the Golden Door being named "Best Small Spa"—Spa Finder Reader's Choice Awards " One of the Top 5 Destination Spas"— Travel + Leisure 2004, 2003, 2002 Readers' Poll "Number 1 Destination Spa in North America and the Caribbean" — Condé Nast Traveler's spa poll 2001, 2000 "Number 1 Spa in America" (13 consecutive years) — Zagat US Hotel, Resort and Spa Guide "Number 1 Spa" — Robb Report's 11th Annual "Best of the Best" Awards Town & Country says, "There are spas for every reason and every season but nothing can compare to the Golden Door." Tickets to The Tonight Show with Jay Leno are available by U.S. mail. To order, send a self-addressed stamped envelope with a brief letter listing the desired date of taping and three alternate dates. You can request up to four tickets, but seating is limited. Audience members must be at least 16 years old. If tickets are available for the date you request, they will be sent to you by return mail approximately 2-3 weeks prior to the show date. All mail requests are processed on a first come, first-served basis and should be submitted at least 6 weeks in advance. Tickets for a specific show are available the day of the show only at the NBC Ticket Box, located at NBC in Burbank, CA. The NBC Ticket Box opens at 8:00 a.m. All available tickets are distributed to the public on a first come, first-served two (2) tickets per person basis. On each visit, you and your guests will enjoy Chef Annie Somerville's daily menu, which draws from a repertoire that has made Greens one of the premiere vegetarian restaurants in the country. From our airy, art-filled dining room, with floor to ceiling windows you are treated to sweeping views of the Marina, the Golden Gate Bridge and the Marin headlands. Greens Restaurant is located in a converted warehouse at historic Fort Mason, which currently is home to more than 50 non-profit cultural and environmental organizations. 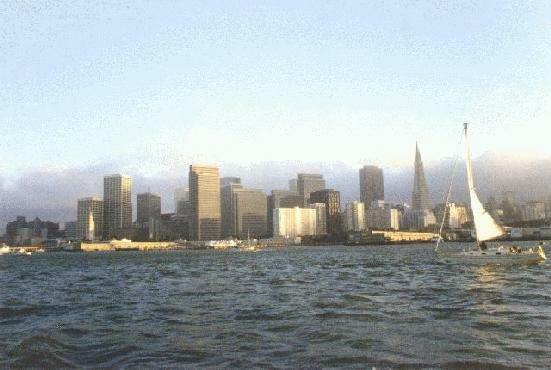 We opened in 1979 under the auspices of the San Francisco Zen Center. Built by San Francisco Zen Center carpenters, the restaurant incorporates 12 types of wood - from the massive black walnut doors, the hickory stairs at our entrance, the curved bar featuring Port-Orford-Cedar, and the dining tables of maple, walnut and cherry. Much of the wood has been recycled or reclaimed. Greens Restaurant was a pioneer in establishing vegetarian cuisine in the United States. In the 60's and 70's, vegetarian restaurants were mostly small out-of-the way cafés. There was no high profile vegetarian restaurant in the United States. Greens changed that by raising the bar, by placing vegetarian cuisine on a level with other fine dining restaurants. We have been reviewed by food and design magazines from the time we opened. Today we are surprised if a good restaurant does NOT have vegetarian options. Greens helped pave the way for this acceptance. 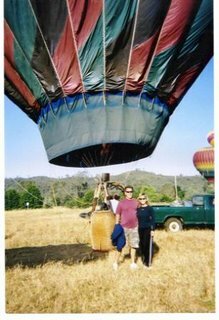 Ride a hot air balloon in Napa. The natural world awaits you... Nestled on 400 acres in the heart of California's wine country, Safari West is home for over 400 exotic mammals and birds. Not a zoo, not a drive-through park, it's a wildlife preserve where the whole family can experience some of nature's most beautiful animals in a natural habitat. 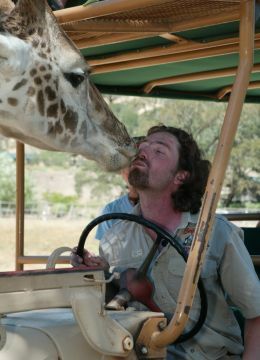 Established by Peter Lang in 1979, Safari West gained membership in the American Zoo and Aquarium Association, one of only six private facilities in North America to belong to that prestigious organization. The ongoing mission of Safari West is wildlife preservation through breeding, education, research and public interaction. But Safari West is more than a preserve. We are dedicated to raising awareness of our exotic neighbors and promoting understanding through in-person contact. 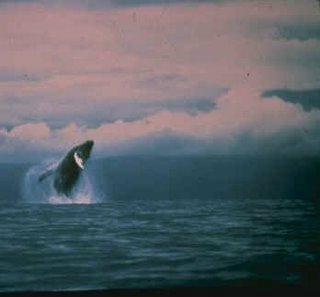 That's why we offer safaris year-round. If your only experience with a zebra or giraffe has been at a zoo, you should see these beautiful animals in their natural habitat. You owe it to yourself, and to them. 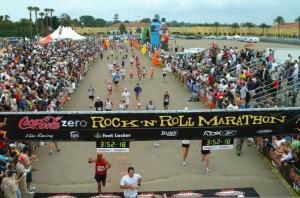 Run the Rock-N-Roll Marathon, San Diego. 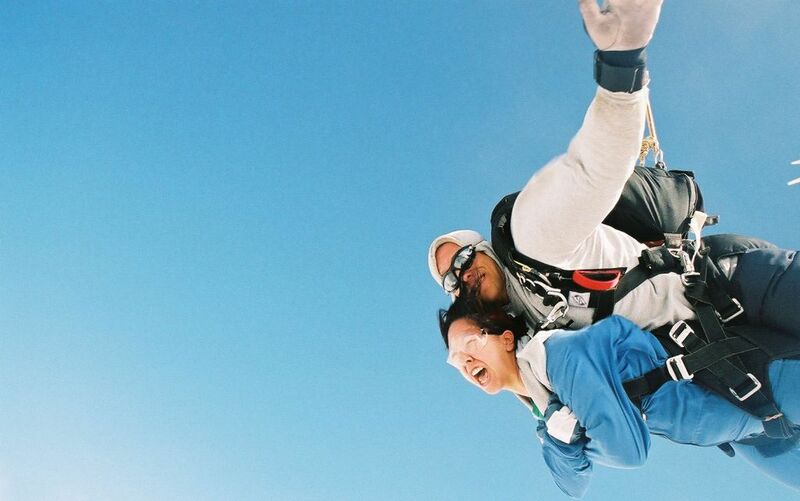 For the first timer, the Parachute Center offers an Introductory Jump for $100.00. The Introductory Jump will give you an overall look at the sport. It includes all equipment, training, plane ride, and a freefall jump with a specially trained Instructor. The jump is from 13,000 feet and will give you 60 seconds of freefall (approximately two miles), and a five minute descent under a specially designed parachute. Weight is an important factor on the tandem jump. If you weigh over 200 pounds, there is a service charge of $1.00 per pound for every pound over 200. If you are 215 pounds and under, you will still go to the top altitude, if you are over 215 pounds, the jump is from 6,000 feet with a shorter freefall time, but you will still have a five minute descent under the parachute. The Introductory Jump will introduce you to the sport in the safest possible environment under the direct supervision of your Instructor. NO RESERVATIONS are necessary for The Introductory Jump. We are OPEN EVERYDAY at 9 a.m., we ask you to be here by 3 p.m. during the week and by 4 p.m. on the weekends. We do jump later but set these times to allow us adequate time for the training and the jump. Wear loose fitting, comfortable clothes and tennis shoes. You must be 18 years of age to begin Skydiving. Please no personal checks, we do accept Master Card/Visa (5% service charge) and ATM ($1 charge) and cash. Feel free to call or e-mail for further information. If you think Palm Springs is all about casual resort golf, you will find yourself shocked by some of the brutal courses this famous desert city has to offer. By adding the Arnold Palmer-designed Silver Rock, Palm Springs now has several courses that will leave even the most experienced golfers feeling overwhelmed, including Pete Dye's seriously difficult PGA West TPC Stadium. Here's a look at some courses that prove Palm Springs is no pushover. Feel the celebrity handprints at Mann's Chinese Theatre. The biggest celebration in Disney history is happening now! 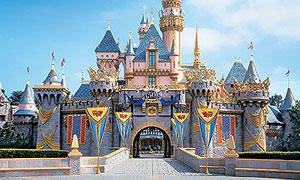 Come home to celebrate the 50th Anniversary of the Disneyland® Resort and be a part of the magic! 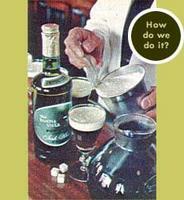 THE IRISH COFFEE STORY The historic venture started on the night of November the 10th in 1952. Jack Koeppler, then-owner of the Buena Vista, challenged international travel writer Stanton Delaplane to help re-create a highly touted "Irish Coffee" served at Shannon Airport in Ireland. Intrigued, Stan Accepted Jack’s invitation, and the pair began to experiment immediately. Throughout the night the two of them stirred and sipped judiciously and eventually acknowledged two recurring problems. The taste was "not quite right," and the cream would not float. Stan’s hopes sank like the cream, but Jack was undaunted. The restaurateur pursued the elusive elixir with religious fervor, even making a pilgrimage overseas to Shannon Airport. Upon Jack’s return, the experimentation continued. Finally, the perfect-tasting Irish whiskey was selected. Then the problem of the bottom-bent cream was taken to San Francisco’s mayor, a prominent dairy owner. It was discovered that when the cream was aged for 48 hours and frothed to a precise consistency, it would float as delicately as a swan on the surface of Jack’s and Stan’s special nectar. Success was theirs! With the recipe now mastered, a sparkling clear, six-ounce, heat-treated goblet was chosen as a suitable chalice. Soon the fame of the Buena Vista’s Irish Coffee spread throughout the land. Today, it’s still the same delicious mixture, and it’s still the same clamorous, cosmopolitan Buena Vista. Both…delightful experiences. Cross the border at the Cal-Neva Lodge where Frank used to hang out, win a big jackpot, bring the money back to California to spend it. The Cal Neva survived many owners during the early years, but none were as famous or visible as Frank Sinatra who purchased the Cal Neva and was licensed on September 10, 1960. He did extensive remodeling, and the Celebrity Showroom was built on the Nevada side with a helicopter pad on top of it. The helicopter pad was used only while Sinatra owned the Cal Neva Lodge. The Cal Neva Lodge filled to capacity during the summer months when Frank Sinatra owned and operated it. He booked big name entertainers for the Indian Room and for the Celebrity Showroom. 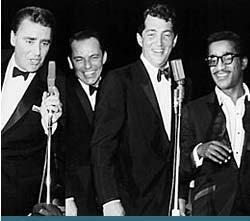 A controversy with the Nevada Gaming Control Board resulted in the revocation of Sinatra's license on October 22, 1963. On Labor Day, September 1963 Frank Sinatra closed the Cal Neva Lodge bringing and end to a reign that was as colorful as himself. Sand Harbor State Park, Lake Tahoe, Nevada July 13 through August 20, 2006 Lake Tahoe Entertainment at it's finest. 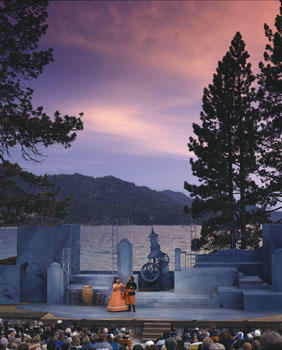 The Lake Tahoe Shakespeare Festival at Sand Harbor State Park is an exciting way to enrich your Reno-Tahoe summer vacation at or the perfect evening escape from ordinary city life. 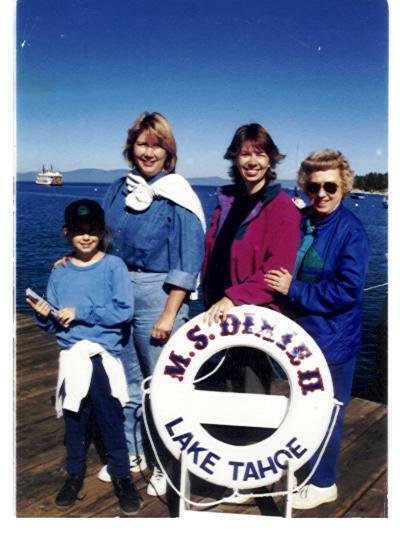 If you've never visited the Lake Tahoe Shakespeare Festival before, or if you're a seasoned veteran of our performances, 2006 is set to be a wonderful year on the beaches of Lake Tahoe's Sand Harbor State Park. For more than 25 years, people have spread out on the pristine beaches with wine and cheese, and enjoyed the Bard at his best. 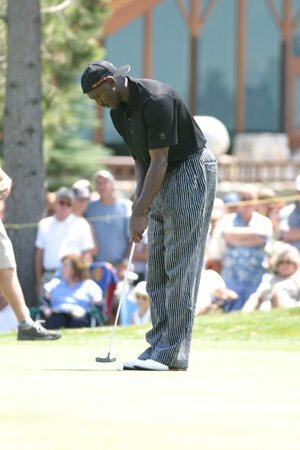 Next year, it promises to be better than ever, with the Lake Tahoe Shakespeare Festival's feature production of the dramatic Othello,balanced nicely with Twelfth Night. This year, attendees at the Lake Tahoe Shakespeare Festival will find that "festival food" has been elevated in quality with more variety and several gourmet additions, said Catherine Atack, executive director of the Lake Tahoe Shakespeare Festival. By providing such a variety of high-quality dining choices at the Sand Harbor venue, we feel we have really improved the Shakespeare experience for our guests. Enjoying great food and fine wine with your toes in the sand, it makes for a great night out on the town for Shakespeare lovers of all ages. Thunderhill High Performance Driving School Our School is a High Speed driving event on an FIA class road track with a licensed racing instructor. You drive, they teach. In 1.5 hours of lecture and track orientation, plus 5-20 minute high speed driving sessions, you'll learn and practice "line", threshold braking, car control, consistency and smoothness. 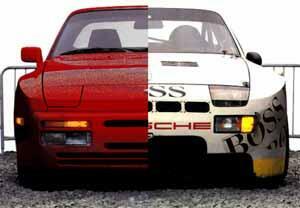 You'll learn a few new things about yourself and your car and you'll aquire knowledge, experience and respect for the art of car control. What you'll need 16 years or older can attend (16/17 require parents signature) Clean maintained street vehicle (OK to trailer) Snell 85+ helmet (loaners available) The standard belt that came with your car All convertibles must be equipped with a "roll bar" that is above the drivers head. Vehicles with factory hoops, or pop up rollover systems are not allowed. $195 - includes lunch, Thunderhill T-Shirt, and post event social. A World Class Hotel As a National Historical Landmark and one of the most distinctive resort hotels in North America, The Ahwahnee is well known for its great granite façade, striking beamed ceilings, massive stone hearths, richly colored Native American artwork, and finely appointed rooms. Featuring 123 rooms, comprised of 99 hotel rooms, parlors and suites and 24 cottages, The Ahwahnee offers a perfect balance of history, hospitality and elegance. It's no wonder that for generations this grand hotel has been the destination of queens and presidents alike. The Ahwahnee Dining Room - The site of some of the most remarkable culinary events in the country, the Ahwahnee Dining Room features a 34-foot high ceiling with large sugar pine trestles and ceiling-to-floor windows framed with stained glass. The Great Lounge - A study in size and grace, the Great Lounge is 77 feet long, 51 feet wide with 24-foot-high ceilings. Ten floor-to-ceiling windows topped with stained glass panels, bathe the Lounge in light during the day. Wrought-iron chandeliers provide a warm glow in the evenings. The Solarium - Abundant natural light floods the room from windows on three sides. Adding to the room's sunny ambiance are an indoor fountain of local jasper and a profusion of beautiful plants. Winter Club Room - Deep leather chairs, a winter sports theme, vintage photographs and large windows create a relaxing mood that's particularly comforting in winter. Mural Room - A spectacular mural of Yosemite's flora and fauna overlooks this elegantly paneled room. A copper-hooded fireplace and French doors looking out on the landscaped grounds make this the perfect place to read a good book, write or entertain a small group. Colonial Room, Tressider Room and Tudor Lounge - Private meeting spaces with rich dark wood appointments and balconies overlooking Half Dome, Glacier Point and Yosemite Falls. As featured in- The San Francisco Chronicle, The Sacramento Bee and Best Places To Kiss In Northern California. 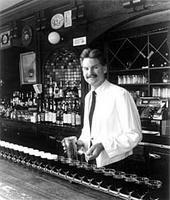 Awarded the "Wine Spectator Award of Excellence" since 1992. Reviews "You don't have to worry about distractions at Cafe Fiore- there are only 7 tables! It doesn't get more intimate than this. Candles glimmer at each of the window side tables arranged in the cozy wood paneled dining room. In the summer, tables are set up outside. Wherever you sit, be adventurous: the Italian menu features items such as Eggplant Crepes served with sun-dried tomatoes with sherry wine sauce, among other unusual selections. Desserts are out-of-this-world, especially the homemade white chocolate ice cream. We were tempted to stay an extra day in South Lake Tahoe just to come back here..." From the book, "The Best Places to Kiss in Northern California" As featured in the Sacramento Bee By Allen O. Pierleoni 1996 Assistant Features Editor A short drive from Casino Row, on the California side, is the Cafe Fiore, a seven-table restaurant that has lived many lives over the years, including one as a private residence. Luckily for us, Nick Ashmore has had the place for the past year and a half. 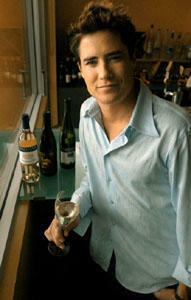 Between him and young (26) self-taught chef Gilbert Ruelas, the restaurant has never been stronger or more versatile. (The sauces really stand out; they're not timid about making a statement.) The high ceilings and overhead fan give the small room at least a sense of spaciousness (there's summertime alfresco dining that doubles the seating). It is rather ironic that conversant diners enjoy more a sense of privacy here than in many larger dining rooms. Cafe Fiore has the world's second-best garlic bread, based on the theory that there likely is a better one elsewhere in the world -- though we haven't found it. The house-specialty appetizer is eggplant crepes, four thinly sliced eggplant rounds stuffed with smoked salmon, grilled and served in a sherry cream and sun-dried tomato sauce. Luscious. Another winner was the grilled tiger prawns with pancetta, served with a fresh fruit compote. The menu has some hearty pasta dishes -- linguine with seafood sautéed in a cognac, caper and lemon butter sauce; fettuccine tossed with garlic, artichoke hearts, broccoli, olives, pinenuts and tomatoes in a white wine sauce -- and a lineup of imaginative dinners starring chicken, pork tenderloin, filet mignon and veal. But it was two specials that grabbed our attention the other night: grilled lamb chops with shiitake mushrooms and pine nuts in a Madera wine reduction sauce; and tender ahi with crushed black peppercorns, seared in olive oil and finished with garlic butter sauce. The chops and the fish were some of the best we've tasted anywhere. The house-made white chocolate ice cream with sliced strawberries ended things nicely. And the two Wine Spectator awards by the front door reminded us that more than130 vinos are available. Cafe Fiore, 1169 Ski Run Blvd., No. 5. Dinner from 5:30-10 p.m. nightly. Entrees from $13 to $28. Call (530) 541-2908. Eat your way through Garlic Alley Gilroy's garlic festival and learn what good food really tastes like. Where else can one feast on food laced with over two tons of fresh garlic, enjoy three stages of musical entertainment, shop in arts and crafts, view the great garlic cook-off and other celebrity cooking demonstrations, spend time in the children's area, visit interactive displays set up by many of our sponsors, soak up some glorious sunshine, and mingle with a fun bunch of garlic-loving people? The GILROY GARLIC FESTIVAL in Gilroy, California!! We have over 4,000 spirited volunteers ready to make your trip to the Gilroy Garlic Festival a most memorable experience. Whether you are a first-time visitor or a "seasoned" veteran, the Gilroy Garlic Festival is always a fun and fragrant experience. Over 3 million honored guests have made the pilgrimage. Recipe Contest and Cook-Off What It Is The Great Garlic Cook-off is one of the most well-known cooking contests in the country. Starting in December of each year, the Gilroy Garlic Festival puts out a call across the United States and Canada for the best garlic recipes. Hundreds of amateur chefs respond with delicious sounding recipes that run the gamut from soups to desserts and from every type of cuisine. Recent winners have included Basil and Garlic-Stuffed Sea Scallops wrapped in Prosciutto and served with a Spicy Citrus Beurre Blanc and Garlic Seafood Soup The most delicious-sounding recipes, approximately 50, are forwarded to a professional food consultant who makes the final selection of the eight recipes. The consultant prepares each recipe to ensure correct measurements and use of ingredients. These finalists' recipes are those considered to make the most interesting and exciting contest. The finalists come to Gilroy to prepare their recipes on the Saturday of the festival in front of the public. By 12:15, celebrity judges pick their favorites. The winner of the Great Garlic Cook-Off is appropriately honored with a crown of garlic and goes home $1,000 richer. Second place is awarded $750; third, $500. The other finalists are given $100.00 each. For garlic tips and new recipes, the Great Garlic Cook-Off Stage is the place you want to be! July 29 - August 13, 2006 Voted the best summer attraction in the Central Sierra, the Festival offers a full symphony orchestra, international soloists, legendary entertainers, and renowned opera stars in a unique mountain setting. The Festival offers an outdoor musical experience while under the shade of a large 1250 seat tent. An easy three-hour drive from the Bay Area through the historic gold country, Bear Valley sits along Highway 4 on the Ebbetts Pass Corridor. 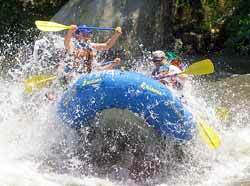 The Bear Valley Village and surrounding area offers an abundance of recreational activities - hiking, biking, fishing, kayaking, swimming, boating, camping, mountaineering, and relaxing between Festival performances. Refreshments and BBQ are available at the Festival Tent prior to all performances and during intermission, proceeds directly benefiting the Festival. Campgrounds, lodging, fine dining, and casual eateries are available in and near the Village as well as in the nearby communities of Arnold, Murphys, and Angels Camp. 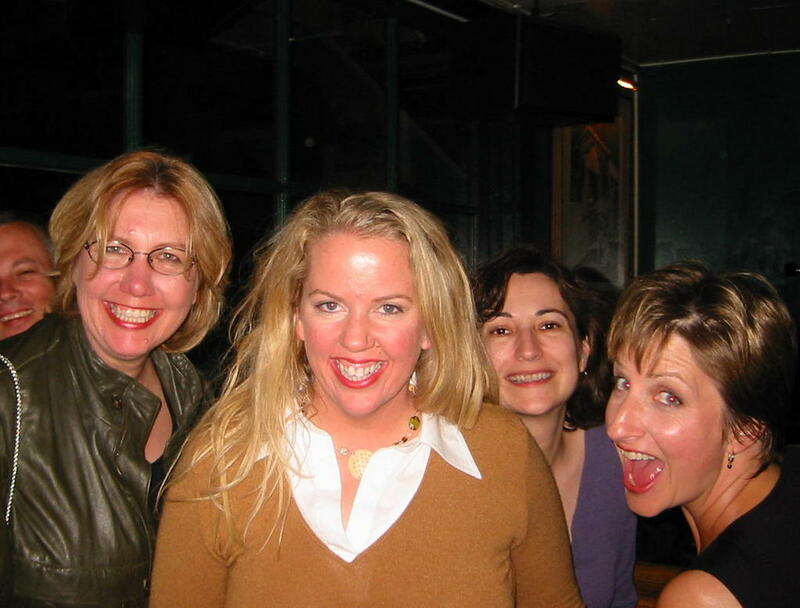 My favorite fancy restaurant in San Francisco is Farallon, where my pals Stacey and Susan took me a few years back for a birthday celebration. From a San Francisco Chronicle review, Farallon, the newest big-ticket affair near Union Square, has just about everything a restaurant needs to be great. The interior, a $4 million extravaganza designed by Pat Kuleto, exudes a magical, feel-good air. The food by Mark Franz, who was the backbone of the Stars kitchen for a decade, is already some of the best in the city. Franz focuses on seafood, creating innovative and imaginative combinations. For example, he uses Napa cabbage leaves to bundle together prawn mousse with wild salmon fillets and striped bass. He steams the package, cuts it open to expose the mosaic pattern inside, and places it on a bed of tiny diced, gingered vegetables and an unctuous foie gras sauce. This site is the oldest in the worldwide chain of 20,000 restaurants and the last one with red-and-white striped tile exterior. After opening in 1953, it immediately become the standard for the fast food franchises across the country. The building and its 60 foot high neon sign with "Speedee the Chef" are eligible for listing on the National Register of Historic Places. Employees wear 50's style uniforms of paper hats, white shirts and bolo ties. The restaurant serves the original menu of hamburgers, cheeseburgers, fries and old fashioned milkshakes. Also available are more recent McDonald's items such as Big Macs and Happy Meals. McDonald's reopened the facility as it was with walkup windows and outdoor seating. They also constructed and addition housing a museum, gift shop, restrooms and more outdoor seating. The award-winning Gospel Brunch at House of Blues Sunset Strip is a one-of-a-kind live music show and dining experience. Guests enjoy a delicious all-you-can-eat southern style buffet that features breakfast favorites plus a host of southern specialties. Every week different gospel groups from around the region perform live on stage. The music is uplifting and energetic and guaranteed to get the crowd standing on their feet! Born in 1990 in Berkeley, California, Amoeba Music is inspired by many of the great independent record stores. We stock everything -- from the most popular artists to the most obscure in all genres -- including jazz, international folk and popular music, roots music, classical music, all kinds of rock and soul music, just to name a few of the most obvious categories. Our staff is an all-star team of record store veterans who make music their lives in one way or another. 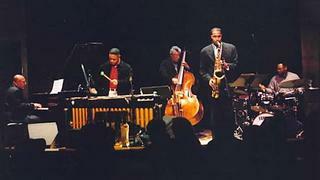 Many are musicians themselves and their collective depth of knowledge is virtually unparalleled in the business. Amoeba Music started at a time when huge chain stores were mercilessly swallowing up smaller chains and independent stores, depriving many communities across the country of the opportunity to have a personal connection with their music retailers and a chance to find music other than what the major labels wanted them to see. Since opening on Telegraph Avenue in Berkeley, it became amply apparent that the community greatly appreciates our style. We focus on customer service first and foremost, with a knowledgeable staff who understand how important our customers' relationship with their music is. San Francisco and Los Angeles obviously deserve a similar resource, and since we truly love those places too, we decided to bring our show down the road and set up giant big-city sized versions of our store in easy-to-get-to locations. So far, everybody seems to LOVE having us in the mix! Heavenly Valley Epic Mountain With 4,800 acres, we are one of North America's largest mountains. At over 10,000 feet, we are Tahoe's highest. Our 3,500 foot vertical is unmatched on the West Coast. And our average annual snowfall is a formidable 360 inches. And just in case that's not enough for you, we have one of the largest snowmaking systems on the continent at the ready, covering 70% of the mountain. Let's talk terrain. Put simply, we've got it all, from breezy blue squares to hair-raising black diamonds. There's no better tree skiing on earth. And experts will have a field day at Mott and Killebrew canyons. This is what other mountains want to be when they grow up. This is Heavenly. Epic Location A truly epic ski vacation isn't just about skiing. 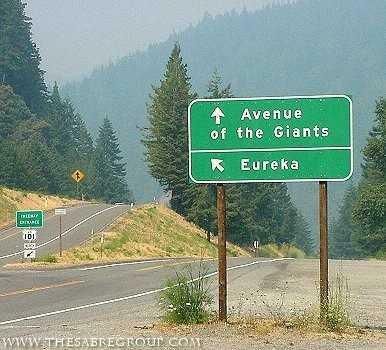 Enter Lake Tahoe. Where wildlife meets the wild life. Hot springs. Spas. Sleigh rides. Lake cruises. Restaurants. Shopping. We've got it all. Be a Hip Chick at a Shag show. In conjunction with the December 2005 publication of SHAG, LTD. Fine Art Limited Editions, A Catalogue Raisonné, Copro/Nason Gallery is proud to present the unprecedented exhibition of all 144 fine art limited edition prints by the phenomenally popular California-based artist Josh Agle, better known as Shag. Fresh off a series of successful serigraphs of Disneyland and the re-imagining of the Pink Panther for Sony, this comprehensive retrospective of Shag’s limited edition prints includes his earliest professional efforts and his newest 2005 releases, Behind the Screen and Well Hung. Finding incongruous delight - and a bit of truth - in such recognizable human habits as courtship, seduction, sin and modes of entertainment, Shag’s paintings are rendered in eye-popping, mood-enhancing colors resulting in bright, irreverent takes on the swingin’ lifestyles of jetsetters, lounge crawlers, (literal) party animals and scene-stealing supervillains that has prompted heavy demand and rising prices. Determined that his art should be available to the broadest audience possible, Agle turned to high quality prints beginning in 1999, issuing them in limited editions to retain a sense of uniqueness at a fraction of the cost of one of his originals. These prints are collected together for the first time in SHAG, LTD. Fine Art Limited Editions, A Catalogue Raisonné. Packed with over 175 full-color reproductions – from Agle’s “pre-Shag” artistic endeavors to his very latest efforts – the book surveys the evolution of color, content and composition in his work that has turned fans into fanatics. Annotated with information from the artist’s own secret archives, this complete chronicle of Shag’s mass-produced art contains insight and enjoyment for collectors, as well as those hitherto-unacquainted with his long sold-out limited edition prints. Do not miss this rare opportunity to experience the vibrant perspective of one of America’s foremost painting talents. The SHAG, LTD exhibition opens Saturday, December 3, 2005 with a reception at 8 p.m. sponsored by Juxtapoz magazine, the leading light of today’s “lowbrow” art movement, and runs through January 21, 2006. The catalogue raisonné is due to be released December 10 with a signing beginning at 2 p.m.
Pretend you're Alexis or Crystal or Blake, or even Sammy Jo at the Filoli Mansion. The Carrington mansion was actually the Filoli Estate located thirty miles south of San Francisco off Highway 280 at 86 Canada Road in Woodside, California. It was built in 1916 by William Bower Bourn, Jr., with the profits from his Empire Mine in Grass Valley, and is now operated as a museum by the National Trust for Historic Preservation. 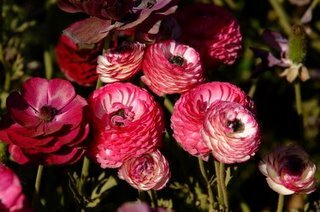 The name "Filoli" was derived from the first two letters of the three words derived from the motto "To FIGHT for a just cause, to LOVE your fellow man, and to LIVE a good life." Take a dip where Elvis and Nancy Sinatra use to swim, Palm Springs. 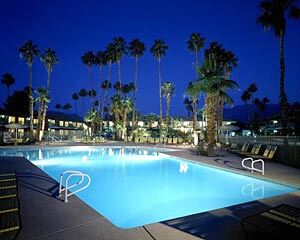 The Caliente Tropics Resort in Palm Springs, California opened again in March of 2001 after undergoing over $2 million in renovations. It's a prime example of one of the last standing Polynesian-themed motor hotels out of the 60's. Our Tiki and Polynesian style hotel now offers rooms that are both spacious and luxurious, with unique furnishings. Our exterior has been re-designed to reflect the mid-century look of when the resort first opened back in 1964. While lounging in our pool and spa area, one will enjoy the Palm Springs sun. We also offer cabanas and BBQ's which are located on our spacious lawn area right by the pool and spa. A day of relaxation and sun, whether it's enjoying yourself out and about or just relaxing by the pool, in beautiful Palm Springs will sooth the soul. Facials, massages and other spa treatments are available to our guest and can be enjoyed outdoors poolside or under one of our cabanas. There are many great services and amenities at The Caliente Tropics Resort, so many we couldn't possibly list them all such as a complimentary continental breakfast, voicemail, shuffleboard, desktop data ports and much more. Relax, swim, and enjoy the spectacular mountain views surrounded by the aura of the tiki torches, where Nancy Sinatra lived and Elvis visited. The hotel offers indoor/outdoor meeting space for up to 250 people. We offer only non-smoking rooms and are always pet-friendly. Room packages are available. 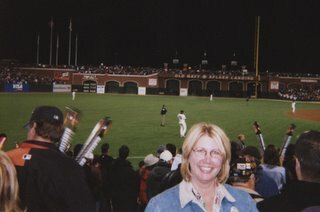 See the Giants beat the Doggies at AT&T Park, San Francisco. Come visit us! Come to Buck Owens' Crystal Palace for great food and great country music 5 days a week. From live dance music to concerts by some of your favorite performers. 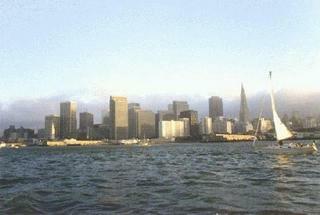 Join us for a day of sailing, blue skies (or fog), good company, and fun on the beautiful San Francisco Bay! We usually sail out of Sausalito on weekends, often enjoying a picnic lunch on Angel Island. The cost averages $40-$60 per person for cruising and a bit more for lessons.